Apost (2007). Variable rate stamps type Apost - Post office ÚSTI NAD LABEM 1. Cover posted to Spain - 2007 (11.00). Apost (12-14.09.2008). Variable rate stamps type Apost. Special issue PRAGA 2008. RARE ! Mint blank label. Variable rate stamps - Post office MARIÁNSKÉ LÁZNE 1. Mint blank label. Variable rate stamps - Post office TÁBOR 1. Mint blank label. Apost (08.2007). 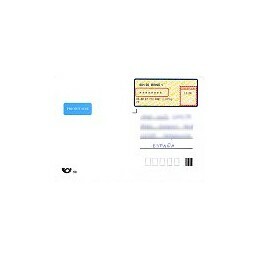 Variable rate stamps type Apost. Commemorative text Pribyslav-PyroCar 07. RARE ! Cover posted to Spain (11.00). Apost (08.2007). Variable rate stamps type Apost. Commemorative text Pribyslav-PyroCar 07. RARE ! 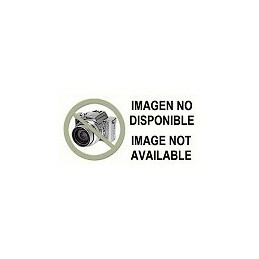 Registered cover posted to Spain (44.00). It includes the original registered slip. Apost (2007). Variable rate stamps type Apost - Post office BRNO 1. Cover posted to Spain - 2007 (11.00). Apost (2007). Variable rate stamps type Apost - Post office LIBEREC 1. Cover posted to Spain - 2007 (11.00). Apost (2007). Variable rate stamps type Apost - Post office OPAVA 1. Cover posted to Spain - 2007 (11.00). Apost (2007). Variable rate stamps type Apost - Post office PRAHA 1. Cover posted to Spain - 2007 (11.00). Apost (12-14.09.2008). Variable rate stamps type Apost. Special issue PRAGA 2008. RARE ! Cover posted to Spain (17.00) - PRAHA 7 Post Office. Apost (15.09.2008). 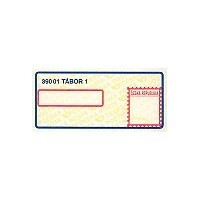 Variable rate stamps type Apost. 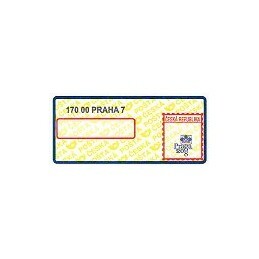 Commemorative text 160 00 Praha 6 100let posty. RARE ! Cover posted to Spain (17.00). Amiel (03.09.2008) - Pruhonice castle (Zámek Pruhonice). Cover posted to Spain, franked with ATM (10.00 Kc), postmark of the Pruhonice post office, + Apost stamp (7.00 Kc) issued by the Pruhonice post office.